Av. Libertad S/N Apto. 106, 11500 El Puerto De Santa Maria, Spanje. 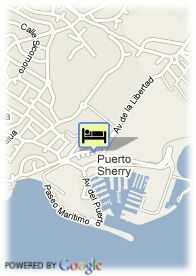 The Puerto Sherry Hotel is located in the Puerto Sherry sport port, in the municipal term of the tourist town of El Puerto de Santa María, in the province of Cadiz. 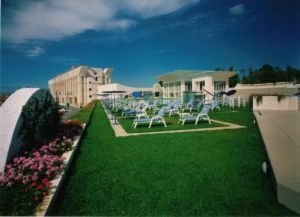 The hotel prepares 58 distributed rooms with the following way: 15 standard double with view to the pinegrove, 13 superior double with a view to the pinegrove, 21 superior double with a view to the marine one, 8 junior suites and 1 suite. The Puerto Sherry Hotel prepares specially gifted living rooms for all type of conventions and congresses that even could be used as Bussines Center.